Remember: The download pages for Distribution and Pass are the same. 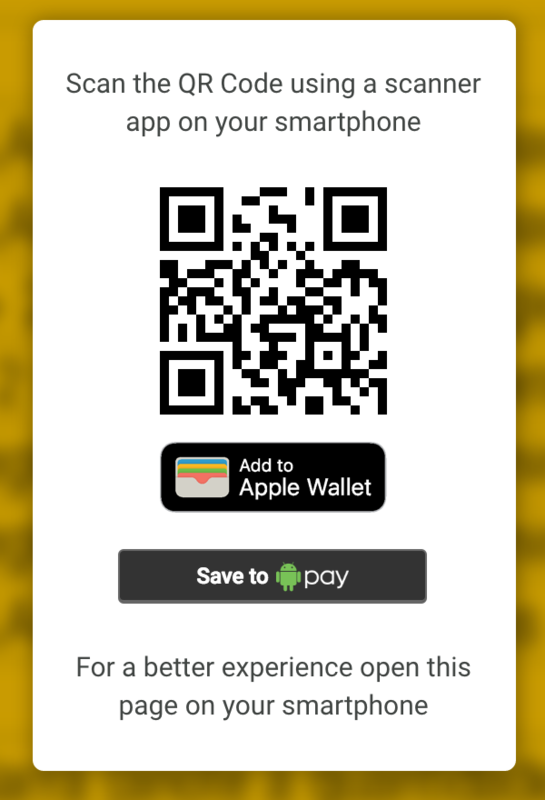 The onlu difference is that at the Distribution page, when a user clicks for download the Apple Wallet pass, it creates a new pass and then push it to the user. 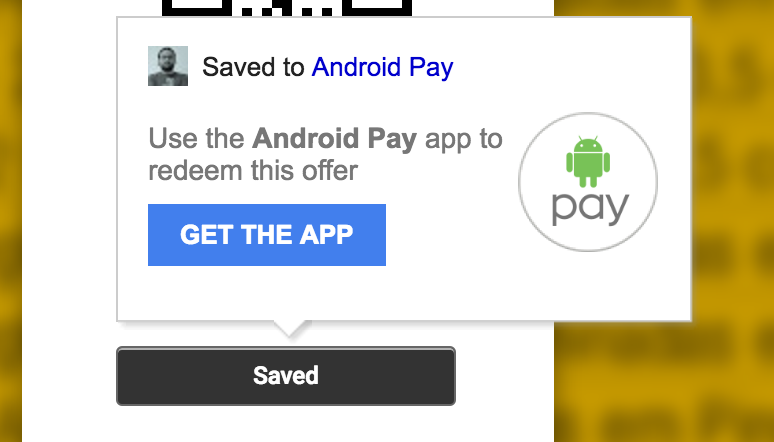 The user will either click at the “I have Android Pay” button or follow a direct link and then click at the “Save to Pay” button fot actually installing the pass to its Android Pay app. 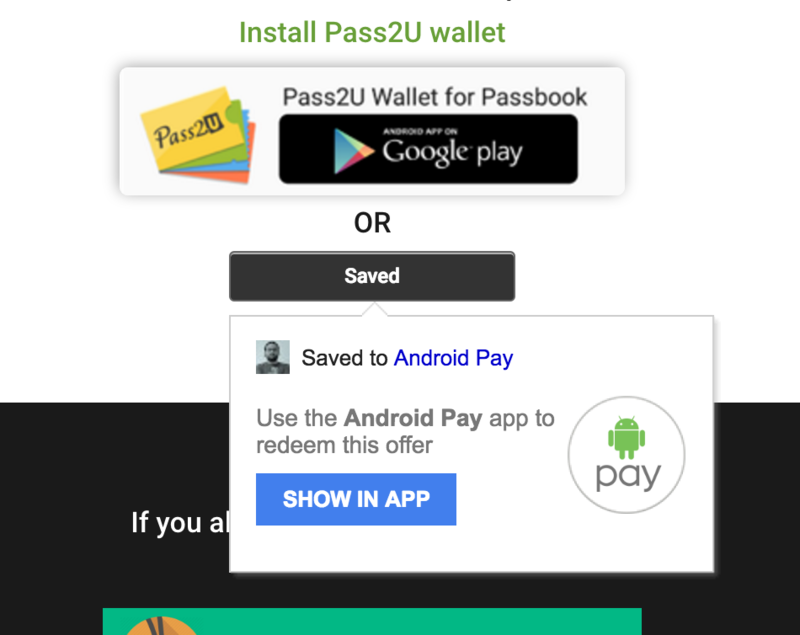 As mentioned on the Introduction, in order to install the pass you must have a Google Account. If you’re not logged into any Google Account, the popover will give all the instructions to login and then install the pass. 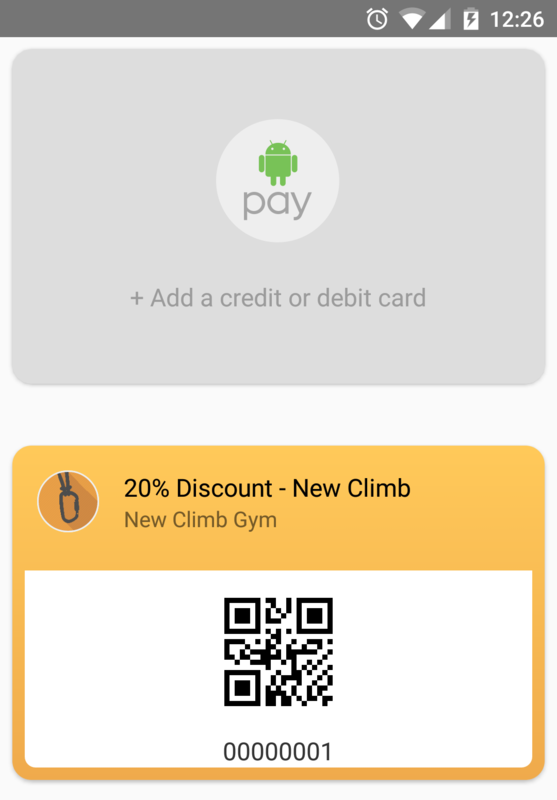 After the pass get really installed, the button will tell you so and suggest you either get the app or directly show it if you are using a device with Android Pay app installed. 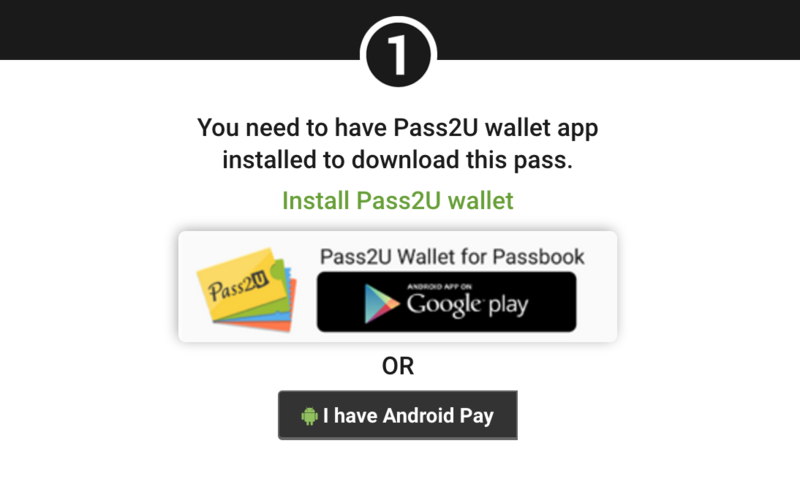 Remember: The user doesn’t have to have neither be using the Android Device to Install the pass to its Android Pay Account. 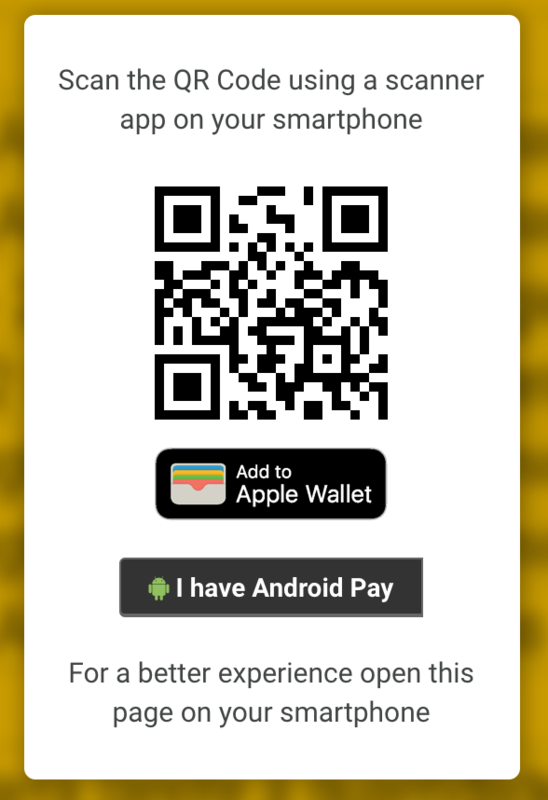 However, in order to see or use it, the App is mandatory. 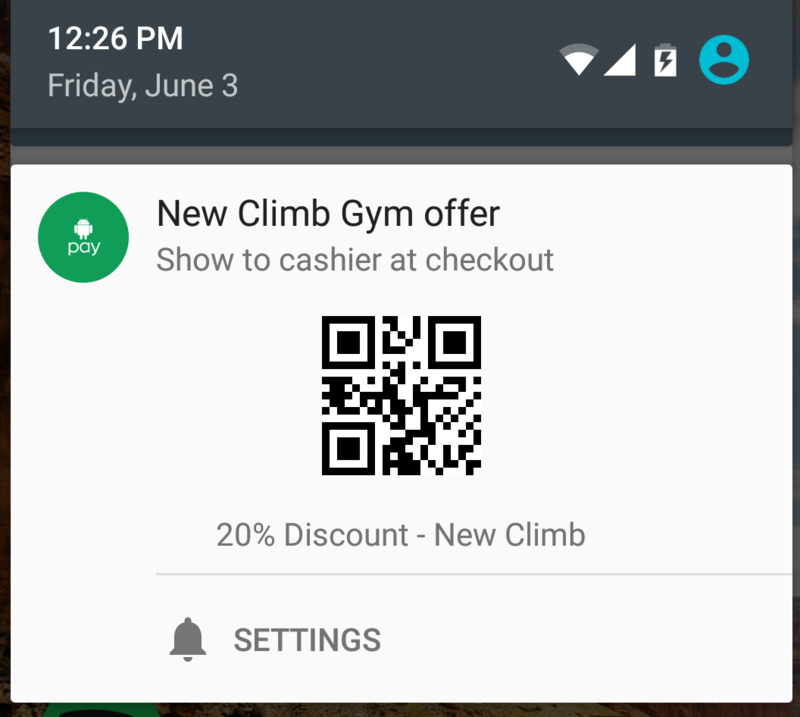 Remember: There is no custom Push Notifications at Android Pay. They’re only available through geolocation basis. 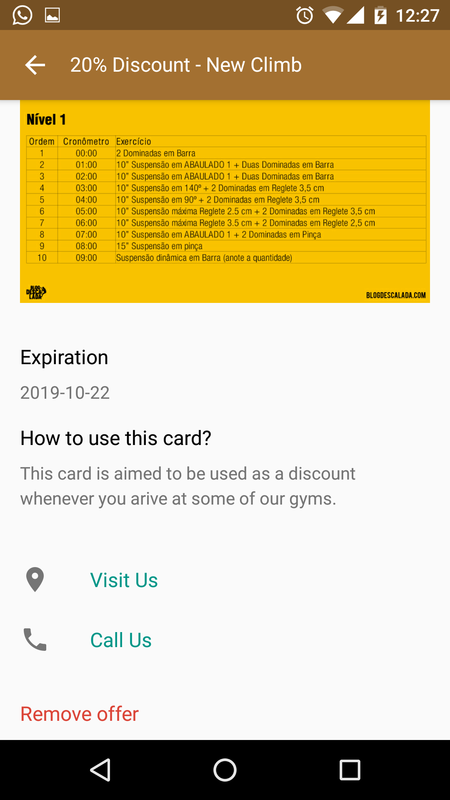 If you’ve added locations to the pass. As soon as the user reaches a specific area (100m radius) the notification will pop out automatically. 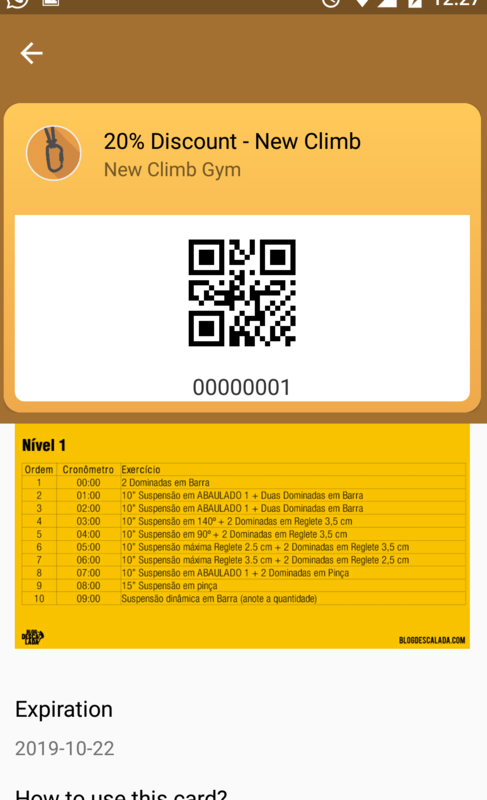 And finaly, even without opening the app, the user can use the barcode at the notifications’s previews. 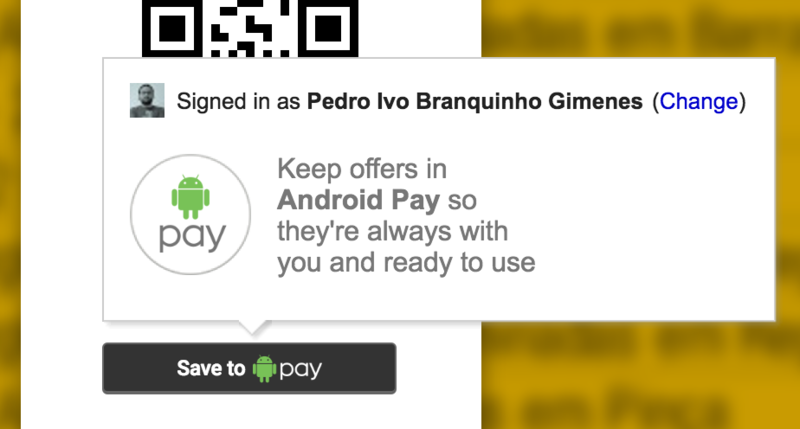 Basically, the user just have to show the pass to the merchant and it should be able to redeem it.